They said they are introducing "a disruptive beam-steering technology." Their eye is on the prize, a system recognized as one that can improve the performance, reliability and cost of lidar systems for the self-driving car industry. The LCM, beam-steering and lidar are talked up, complete with 2019-worthy phrases, such as "perception solutions" and suitability for the "robo-taxi" market. Robo-taxis? The company news release said most observers see lidar's largest near-term application in automotive markets. The technology will enable advanced driver assistance systems (ADAS) and fully autonomous driving systems "that will first be deployed by self-driving taxi services, commonly called robo-taxis." Lumotive describes itself as a "Bill Gates-funded startup" which is developing LiDAR systems for autonomous vehicles. "Pretty much every self-driving car on the road, not to mention many a robot and drone, uses lidar to sense its surroundings," said Devin Coldewey in TechCrunch. "But useful as lidar is, it also involves physical compromises that limit its capabilities. " The company called beam steering the missing link required for systems that can deliver high performance and be commercially viable. "Lumotive's beam-steering technology is the culmination of years of fundamental research into controlling electromagnetic waves using artificially structured metasurfaces," said David Smith, the James B. Duke Distinguished Professor of Electrical and Computer Engineering at Duke University. He called Lumotive the first to develop dynamically tunable metamaterials for optics. Their development is a tremendous advance in metamaterials research, he said, and a technology addressing unmet needs in lidar and other optical systems. Coldewey talked about past limitations. The company in its news release, meanwhile, explained its approach. Currently, most lidar systems rely on mechanical scanning, "which suffers from poor reliability, cost and form factor and, most importantly, limits the performance of existing systems." 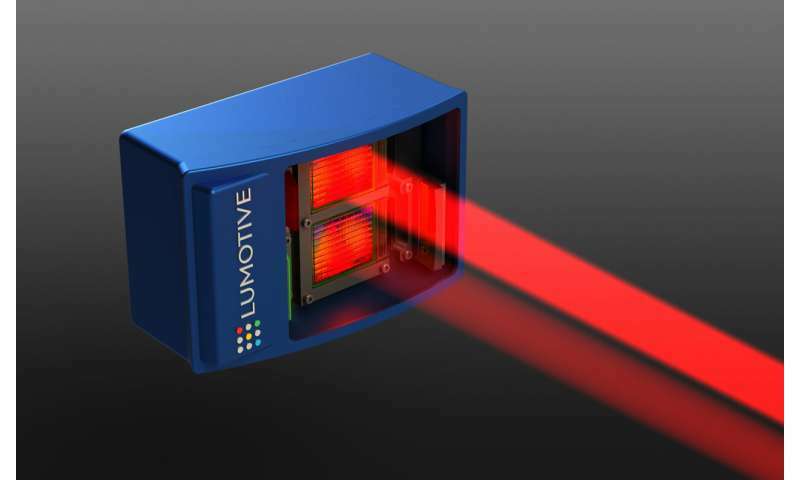 Lumotive's beam-steering technology uses LCMs—"semiconductor chips that steer laser pulses based on the light-bending principles of metamaterials." The company is talking about its system which has a large optical aperture (25 x 25 mm); a120-degree field-of-view with high angular resolution; and fast random-access beam steering. Their large aperture is like having a bigger telescope. It allows them to see dramatically farther than other systems. Philip Ross, senior editor, IEEE Spectrum, said the wide aperture, 25 millimeters by 25 mm (1 inch square, can transmit and receive the light more easily, making better use of collected light. Lumotive discussed aspects of its LCM chips: no moving parts. IEEE Spectrum: liquid crystals steer the beam electronically. They explored beam steering using a semiconductor chip, efficiently, over a large optical aperture "hundreds of times larger than a MEMS mirror or an optical phased array," said Lumotive co-founder and CTO, Dr. Gleb Akselrod. The company also said that Lumotive LCMs can be integrated into small form-factor systems, for other applications in industrial and consumer sectors.